Good DJs and great friends Sampology and Levins are coming together for a celebration of music, dance and FRIENDSHIP. Bringing an end to the bitter feud between Brisbane and Sydney, FRIENDSHIP sees Sampology and Levins combining their love of hot dancefloor anthems with their love for being cool chill bros who are DTP (Down 2 Party) 24/7. Be on the lookout for two brand new FRIENDSHIP mixes from both Sampology and Levins on the Acclaim website over the next two weeks! 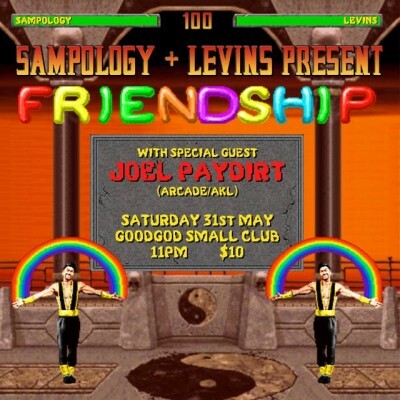 Joining Samplogy and Levins on the night will be special guest DJ Joel Paydirt.